This customer in Shorewood needed a wider door opening, so we created it! 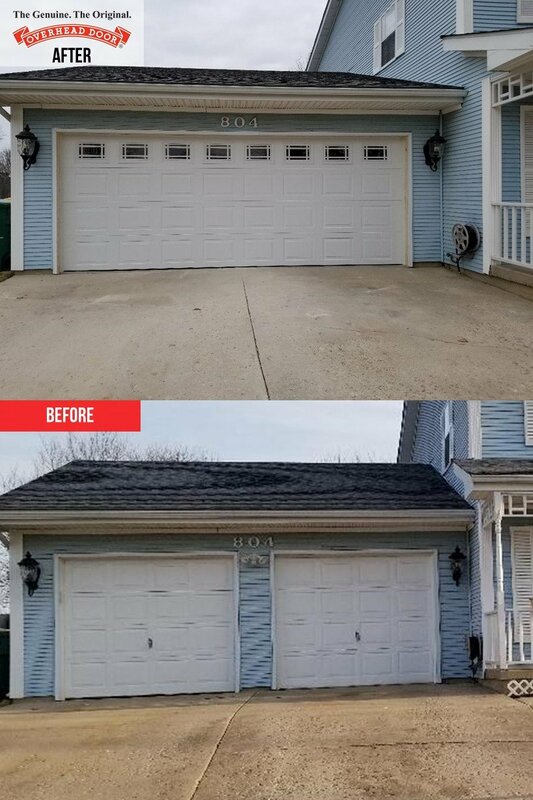 We converted two 8×7 garage doors to one 18×7 garage door! Installed was an 18×7, 391 series raised panel Overhead Door™ with Prairie 1 glass top section. Call the office at (815)725-6077 if you are looking to update your curb appeal!